On Friday, to mark one week since the mosque shootings, women across the island country wore hijab-like headgear. On Friday, one week after the March 15 mass shootings at two mosques in Christchurch that killed 50 people and injured as many, women across New Zealand turned up on the streets and at workplaces wearing head scarves. The headgear, modelled on the hijabs worn by many Muslim women, was aimed at showing solidarity with victims of the terror attack as well as shunning the Islamophobic ideology that allegedly drove the attacks. The 28-year-old Australian who was arrested for the shootings detailed his motivations in a 73-page manifesto, which expressed anti-immigrant and anti-Muslim sentiments and proclaimed support for the white nationalist movement in the US. There were at least two social media-led movements encouraging New Zealanders to wear hijab-like scarves as a show of support: Scarves in Solidarity and Headscarf for Harmony. Participants also included news presenters, some of whom reportedly began broadcasts with the Islamic greeting “Assalamualaikum”. According to reports, one of the forerunners of the movement was Thaya Ashman, a doctor from Auckland, who came up with the initiative after hearing about a woman who was too scared to step out of her house with a hijab after the Christchurch attacks. “I wanted to say: ‘We are with you, we want you to feel at home on your own streets, we love, support and respect you’,” Reuters quoted her as saying. But as an unintended consequence, the movement sparked a heated debate on social media. While some spoke up in support of the gesture, others decried it as tokenism and many appreciated the sentiment but criticised the method. The dissenters explained that the hijab – which women in many Islamic countries have no choice but to wear – is a symbol of oppression and control, a way of policing women’s bodies by enforcing standards of modesty. 1. I'm not a fan of reducing hijab to the idea of a piece of cloth for women alone, and I'm sure as hell not okay with attacking women that choose that voluntarily. The Christchurch mass murderer explicitly stated in his manifesto that he was attacking the "most despised". What is every1s problem with th headscarf? Ppl in NZ choose to wear it in solidarity with their slain countrymen. Context everything. Cant bring up extreme Islamists flogging women fr not wearing it. Novellist Taslima Nasreen was among the critics. “I consider those victims as humans. But the people who consider them only Muslims, wear hijab for solidarity,” she tweeted. I am deeply saddened by the devastating tragedy, the death of 50 innocent people in New Zealand. But I do not need to wear hijab to protest against terriorist acts. I consider those victims as humans. But the people who consider them only Muslims, wear hijab for solidarity. Canadian human rights activist Yasmine Mohammed on Twitter said that even as other Islamic countries had fought against the hijab, the West was “fetishising it”. In Egypt they fought against the hijab, but the Islamists still won. Journalist Raghu Karnad criticised television anchors’s decision to wear head scarves on television. “Journalists show solidarity by reorienting and deepening their coverage – not by cosplay,” he tweeted. In India, some of the debate also took on local overtones. One Twitter user contended that Hindu women have no place to criticise this gesture or speak for the efficacy of its symbolic value. I have a hot take for "feminist" Hindu peeps talking about whether New Zealanders should "go to the extent of wearing a hijab or not". It's not your place to comment. Let Muslim women speak about what they think of it. Dont be another group trying to be their saviour. Another Twitter user said that while some Indians expected Muslims to partake in Hindu celebrations in the country, they objected to New Zealand embracing Islamic traditions as a show of support. Majoritarian Indian liberals: Muslims should celebrate Holi to be secular. Also, Majoritarian Indian liberals: New Zealand is so annoying with their hijabs, azan, ahadith and humanisation of an otherised minority. 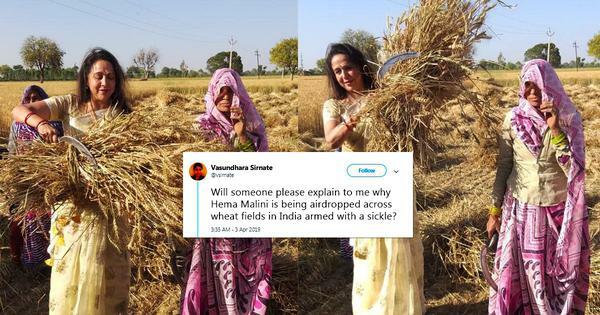 Another discussion between activist Gita Sahgal, journalist Salil Tripathi and anthropologist Annu Jalais on Twitter sheds further light into the various strands of the debate. The three were speaking in particular about New Zealand Prime Minister Jacinda Ardern’s decision to wear a head scarf – she did so on Friday as well as during a visit to Christchurch a day after the attack. While Jalais praised Ardern for her “brave decision”, Tripathi said though he appreciated the New Zealand prime minister’s overall response to the attacks, he wished she had taken into account the politics of the hijab. Sahgal raised apprehensions of such gestures giving further legitimacy to demands that Muslim women keep themselves veiled. Well, the majority of Muslim women across the world do wear some form of head scarf. I was surprised whn @JacindaArdern did it but not offended. On the contrary, it comes from a position of "reaching out" in goodwill towards a much maligned community. Actually it is brave of her! I think we could all understand Ardern wearing a shawl visiting the bereaved on the first day, but the outbreak of national headscarf wearing will be used against young Muslim girls for generations. World Hijab Day has gleefully promoted the event. Islamists use the headscarf to discipline the pious and are brilliant at exploiting the pain of Muslims. Their reach extends to Australia and NZ where ex-Muslims live in secret, for fear of their lives. 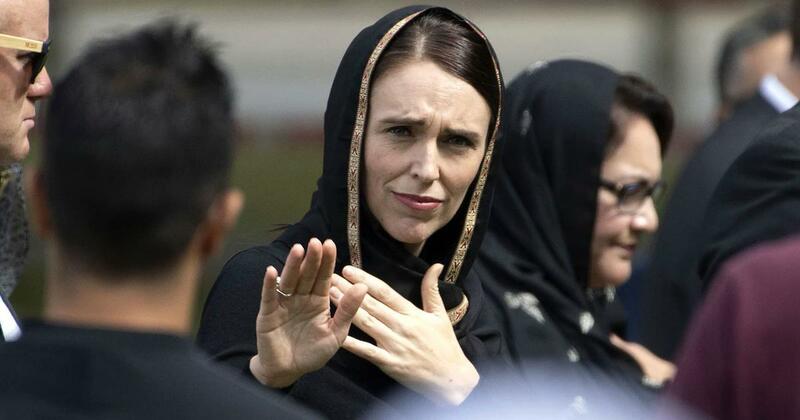 The headscarf gesture was one of several ways in which New Zealand citizens and authorities have decried the Christchurch violence. On Friday, thousands congregated at a memorial service at a park across the road from the Al Noor mosque, one of the two targets of the March 15 attacks. Ardern was also present at the service and addressed the gathering. On Friday, national television and radio channels broadcast the azaan, or the Muslim call to prayer, at 1.30 pm local time, the same time as the attacks the week before, following which people were asked to observe two minutes of silence. New Zealanders have also been performing the Haka, the traditional dance of the Maori community, at events across the country, as a way to honour the victims. Praise has also flowed in for 38-year-old Ardern’s response to the attacks. As soon as reports of the violence emerged, she described it as an “extraordinary act of unprecedented violence”, called it a terrorist attack, and emphasised to migrant communities that New Zealand is their home. She also promised gun law reforms and announced an immediate ban on the sale of military-style semi-automatic guns and assault rifles.